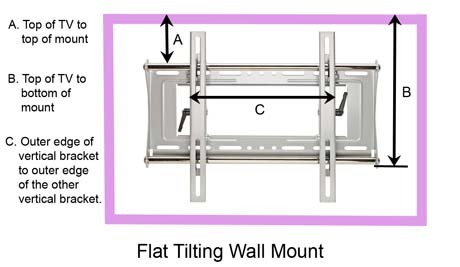 The highest quality protection from dust, moisture, & static for your Outdoor Flat Screen TV. 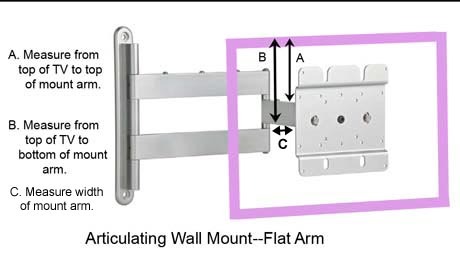 There are several types of flat screen TV mounts. 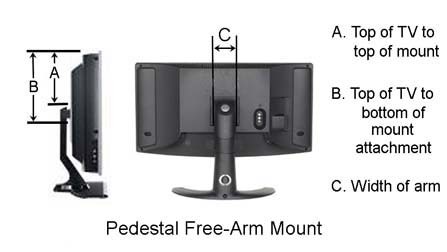 These include the Pedestal Base Mount, the Pedestal Free-Arm Mount, Tilt Wall Mount, Articulating Wall Mount, and Motorized Wall Mount. 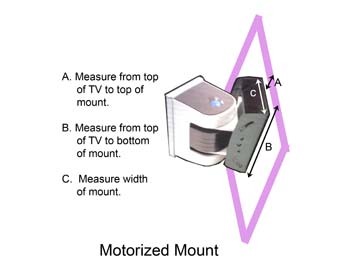 Each type is shown below with instructions on how to measure for the opening in the back of the Custom TV Cover to allow use of the cover with your mount. Click for Printable Worksheet. Copyright 2001-2018 All rights reserved.